The global smart thermostat market is flourishing by leaps and bounds and is predicted to touch USD 3.5 billion at a stupendous 23.4% CAGR during the predicted years (2016-2022). Smart thermostats help in facilitating the remote and effective temperature management in commercial and residential avenues alike. This is a truly authentic device that is capable of switching the heating in a room on and off remotely through the internet. The best part, they can be programmed as well as used on different mobile devices such as laptops, smartphones and remote controls. They can display the heating amount that is used and also control its activity via learning or tracking the user’s day to day routine. There are a couple of factors that is driving the growth of the Smart Thermostat Market. Some of the market trends and factors in this market as per an analysis conducted by Market Research Future (MRFR) include increasing awareness amid consumers regarding the perks of smart thermostats, growing urbanization, technological developments, growing demand for smart homes or connected homes, increasing demand for devices that are energy efficient, accessibility of thermostats that are configurable as well as reconfigurable, growing demand for IoT services and rising internet penetration. On the flip side, factors such as lack of infrastructure, inconsistency amid the wireless networks, high implementation cost and incorrect activation of the switches by sensors are likely to hinder the growth of the smart thermostat market. Leading players profiled in the smart thermostat market include Control4 Corporation (U.S.), Ecobee (Canada), Nortek, Inc. (France), Ingersoll Rand (Ireland), Tado (Germany), Carrier Corporation (U.S.), Honeywell International Inc. (U.S.), Schneider Electric (France), Emerson Electric (U.S.), Nest Labs, Inc. (U.S.), and among others. Aug 2018- Rheem has launched its latest EcoNet Smart Thermostat which has been specially designed to enhance its water heating and HVAC systems. This thermostat comes with intelligent management features both for contractors and homeowners. It will help in streamlining installation, service and set-up for plumbers and contractors. 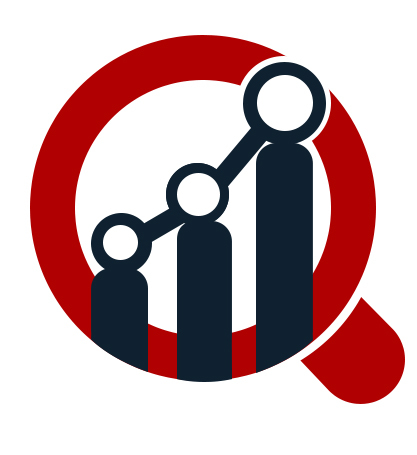 Market Research Future report provides a comprehensive segmental analysis of the smart thermostat market on the basis of components, deployment and application. •	Based on component, it is segmented into display devices and sensors (temperature sensors, motion sensor and humidity sensor). Of these the temperature sensor segment is anticipated to have the highest market share during the predicted years owing to sensor technology development followed by display component that is likely to favor the growth of the smart thermostat market in the coming years. •	Based on deployment, the smart thermostat market is segmented into wireless and wired. Of these, wireless (Wi-Fi) has the largest market share due to a good number of commercial, industrial and residential spaces having Wi-Fi compatibility. •	Based on application, it is segmented into industrial, commercial and residential. Of these, the residential segment is predicted to have a significant growth owing to technological advancements in home automation, increasing consumer awareness regarding energy saving devices and increasing demand of smart homes or connected homes. Based on region, the smart thermostat market covers growth opportunities and latest trends across Asia Pacific, North America, Europe and Rest of the World. Of these, North America will rule the market due to technological advancements and increased internet penetration. The smart thermostat market in Europe is anticipated to grow during the predicted years. The government in this region has begun to undertake steps to cut down consumption of energy and also support the funding improvements for energy consumption in the household which is expected to drive the market growth here. The market in Asia-Pacific is likely to grow significantly during the predicted years due to increasing demand for devices that are energy efficient, cloud deployment and rising use of IT services. The global smart thermostat market has several regional and international vendors. The leading vendors dominate the share in the market with regards to service, functionalities, features and quality. Mergers and acquisitions, technological advancements and product innovations will strengthen the competition level amid the market players. The vendors in the smart thermostat market are investing greatly in research and development and making the most of innovative technologies for expanding their product portfolio in the market.